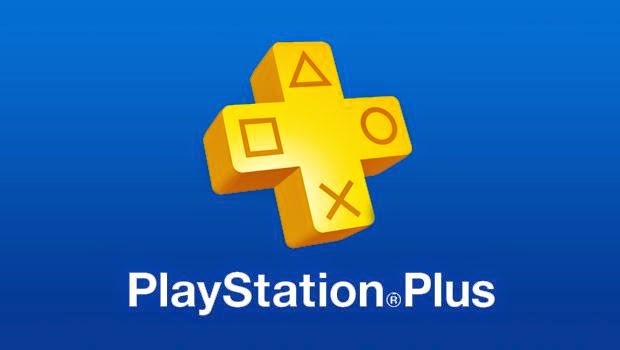 A recent image has surfaced showing the possible May PlayStation Plus games. 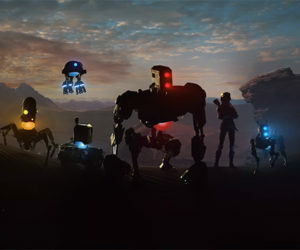 The image was reportedly taken from the German PlayStation Blog. 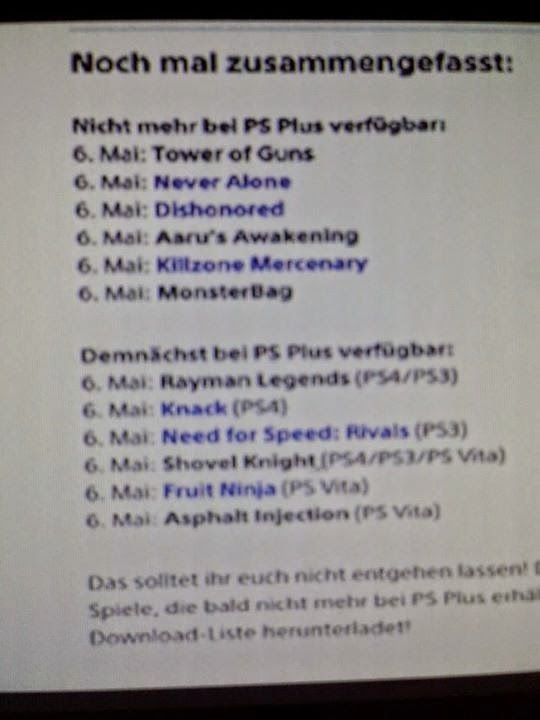 The list included Rayman Legends,Knack, Need for Speed: Rivals, Shovel Knight, Fruit Ninja, and Asphalt Injection. Shovel Knight released on April 21st for the PS4. This would be a ridiculous turnaround if the list is true. I wouldn't put any faith into is validity for that sole reason but take it as you will.